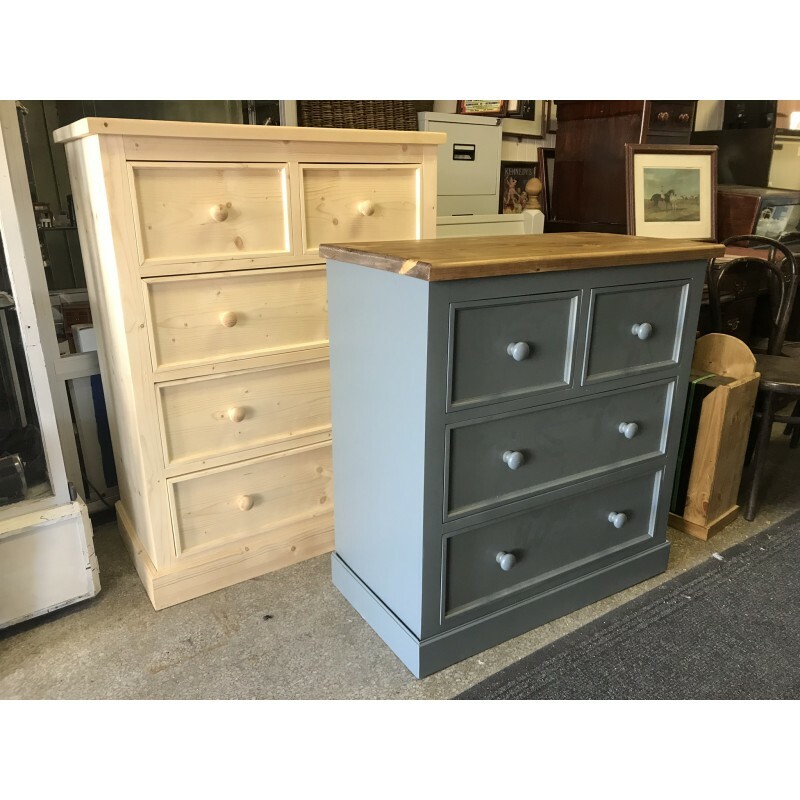 A solid pine chest of drawers with two small drawers over two large drawers. 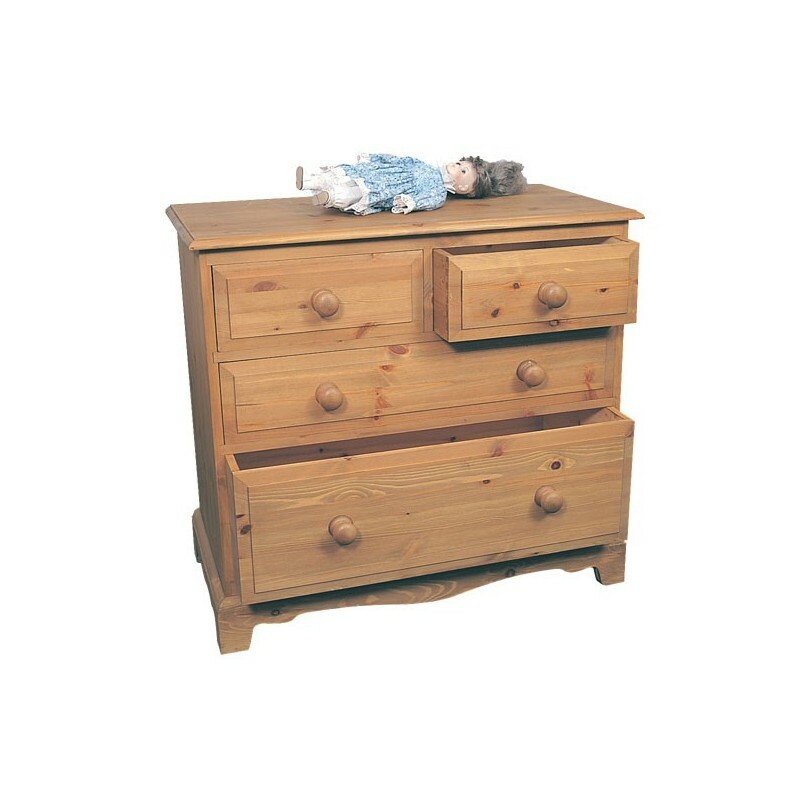 Made of solid pine throughout, This neat chest of drawers has two half width drawers over two full width drawers. 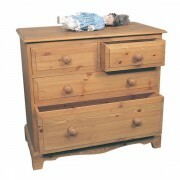 Avalible in a large varity of finishes and matches our tradtioanal bedroom range. 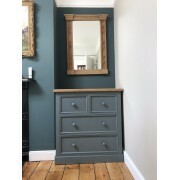 Available with cut out (Shown) or straight plinths / base (Not Shown ). 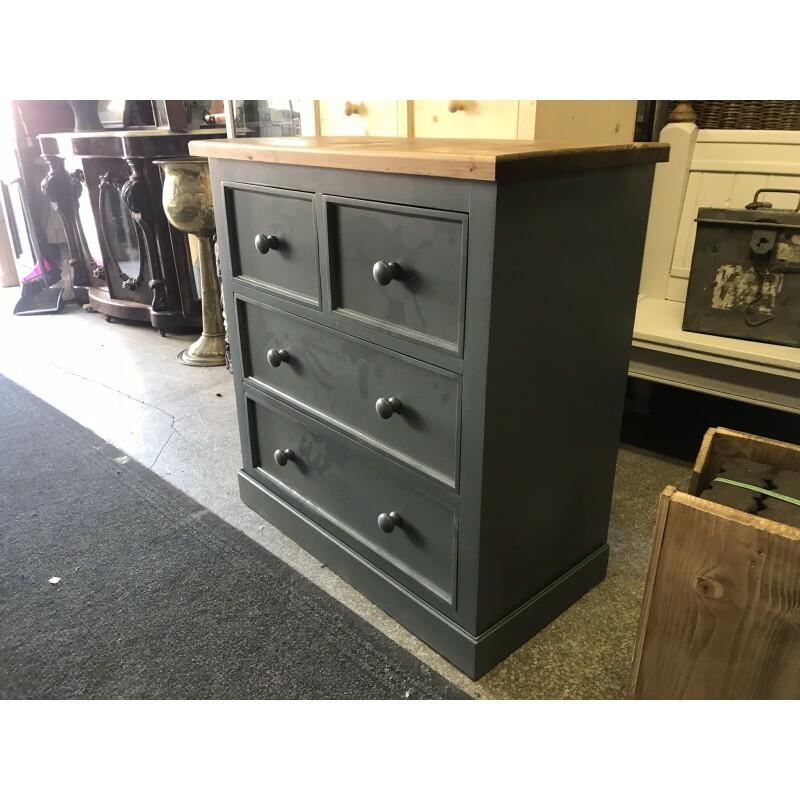 Cut out plinths delivered unless advised with order. Like all our furniture, this wardrobe is available in a large varity of finishes. 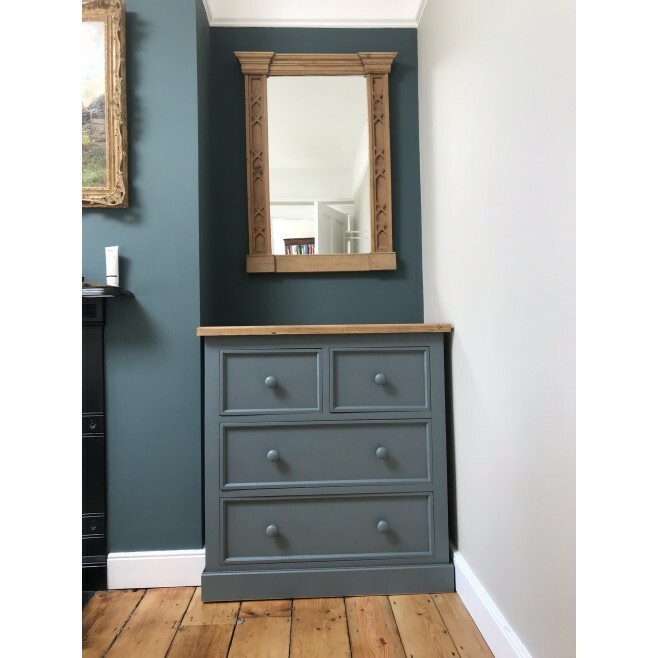 We are able to manufacture bespoke items and vary the sizes of most of our pine furniture. 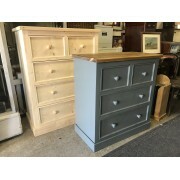 Fitted furniture also available.